﻿ Allegri: "Ibrahimovic is as good as Cristiano Ronaldo and Messi"
12.11.2011 » Allegri: "Ibrahimovic is as good as Cristiano Ronaldo and Messi"
Massimiliano Allegri believes that Zlatan Ibrahimovic is worth as much as Cristiano Ronaldo or Lionel Messi. 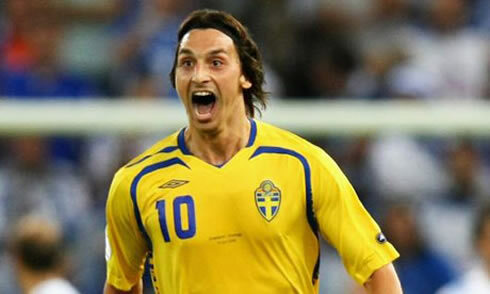 The AC Milan coach refuses to agree that the Swedish player could be ranked below the Portuguese and Argentinian stars. Allegri has also claimed that AC Milan can beat Real Madrid and Barcelona in San Siro. AC Milan coach, Massimiliano Allegri, granted an interview to "Gazzeta dello Sport" and had no problems in ranking Zlatan Ibrahimovic among the best players in the World. In Allegri's opinion, Ibrahimovic is worth as much as Real Madrid's Cristiano Ronaldo or Barcelona's Lionel Messi. The Italian has also shared his view on who are the main contenders to win the UEFA Champions League this season. Allegri says Real Madrid and Barcelona are indeed the strongest teams in Europe at the moment, but he stressed out that AC Milan can beat any of them in a game held in "San Siro". Massimiliano Allegri: "Zlatan Ibrahimovic is worth as much as Cristiano Ronaldo or Lionel Messi." claimed AC Milan coach in a talk with Gazetta. 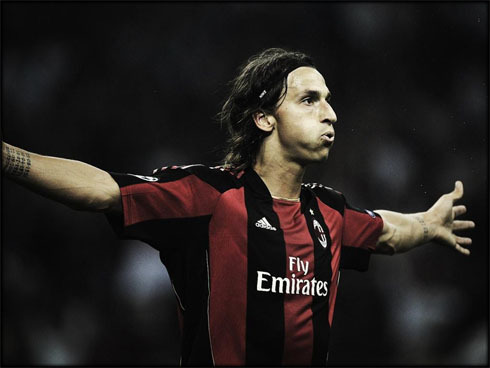 Ibrahimovic finished last season with 39 appearences for the Rossoneri, from which he scored 21 goals and had 12 assists. Still far from both Cristiano Ronaldo and Lionel Messi stats, since the Portuguese player finished last season with 54 goals and Messi with 53 goals. Ibra didn't even score half the goals of any of them. Allegri has also stated his opinion on who are the two most powerful teams in Europe right now, but he doesn't believe they are unbeatable if they face AC Milan in San Siro. Allegri: "Real Madrid and Barcelona are the best teams in the UEFA Champions League, but I think we can beat them at San Siro." AC Milan will host Barcelona in the 23th of November, in a fixture still counting for the group stage, but the Italian coach sees it as a true final and a good test for the "Rossoneri". Allegri: "It certainly won't be a normal game against Barcelona, as it will be more of a final than anything else." Zlatan Ibrahimovic recently released his autobiography in a book and the Swedish had several negative remarks towards his former Barcelona's coach, Pep Guardiola. According to a few stories published there, Ibra was allegedly very upset with the treatment he was getting in Barcelona and he even got very close to physically assault Pep Guardiola in one occasion. Ibrahimovic was also quoted saying that Pep Guardiola was frightened and terrified about José Mourinho. Allegri said that the book was intended to sell a lot, so it had a few show-off remarks, such as those just mentioned. Allegri: "Ibrahimovic probably just said those things to help his auto-biography becoming a best-seller", noted the Italian coach, just before adding a few remarks on this season's "Serie A" title fight. Allegri: "AC Milan and Juventus are the main favorites for winning the championship this year, but we shouldn't underestimate Inter Milan just yet, because they can get back on tracks very quickly and may still have a word to say at the end. In what concerns surprising teams in "Serie A", I would have to go with Lazio and Udinese so far", said AC Milan coach on his final note in this interview granted to "Gazzeta dello Sport".